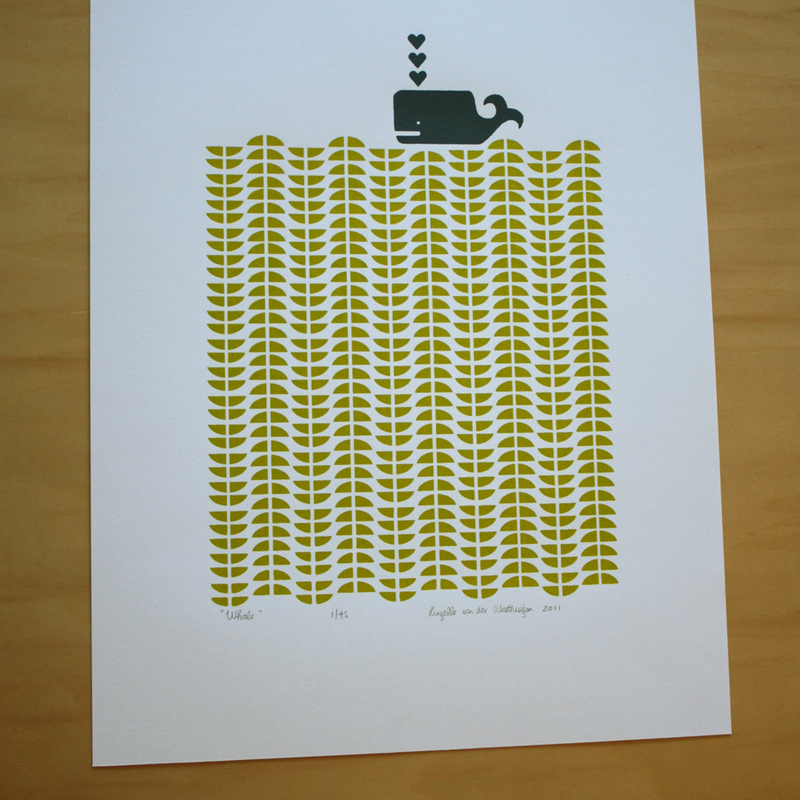 Freshly printed: an olive green version of my "Whale" hand pulled silkscreen print. 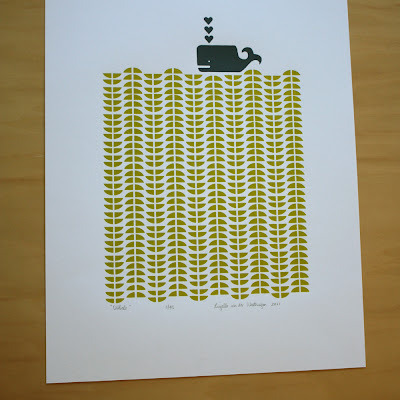 The little grey whale is floating on top of a sea of olive green pattern of graphic waves. 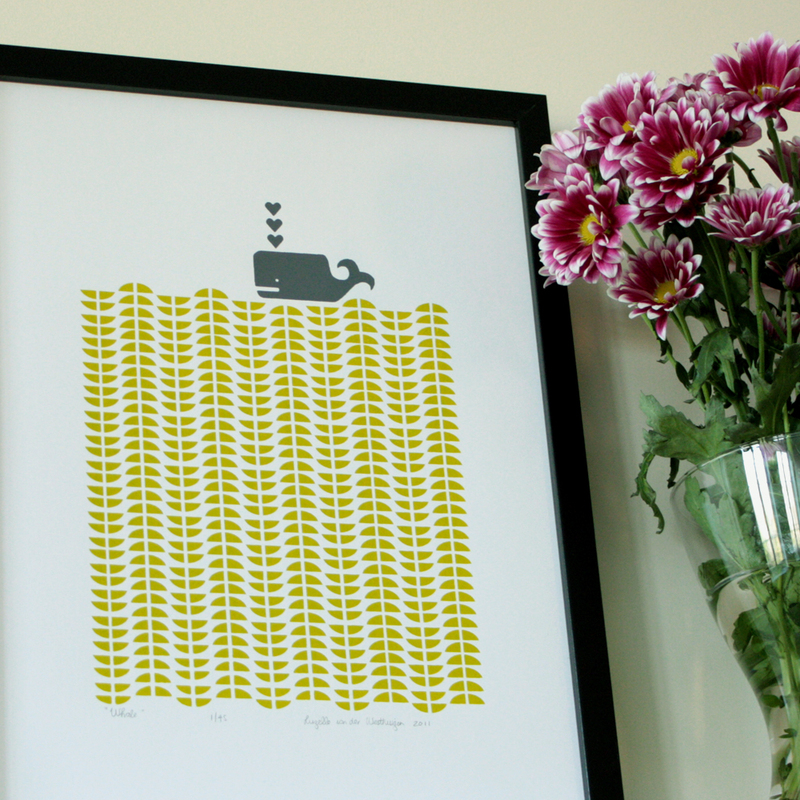 Also available in delft blue and black. 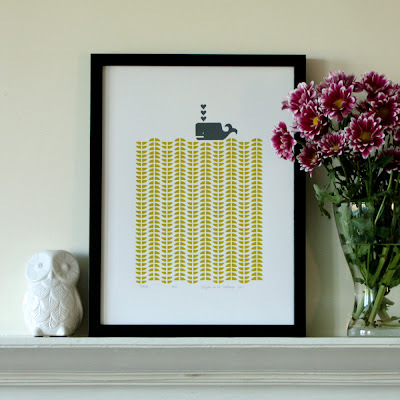 You can check out this playful, happy print at the Mengsel Shop and Etsy.